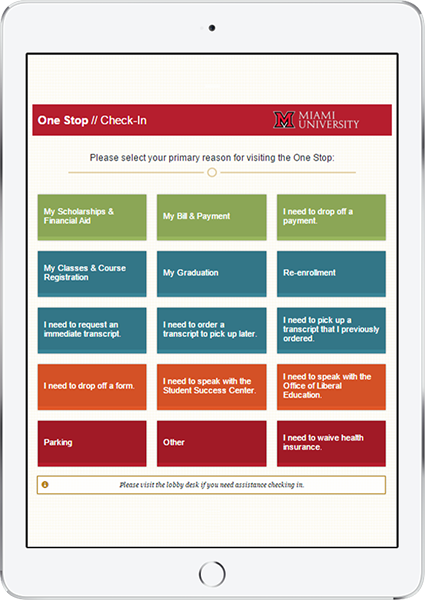 Miami University’s One Stop for Student Success Services offers a kiosk for students and other visitors to access self-help information or check-in and be placed in a queue for assistance. By utilizing the check-in system, students secure their place in line and can relax in our lobby area rather than standing in line waiting for a counter to open. What feedback have you received from students? 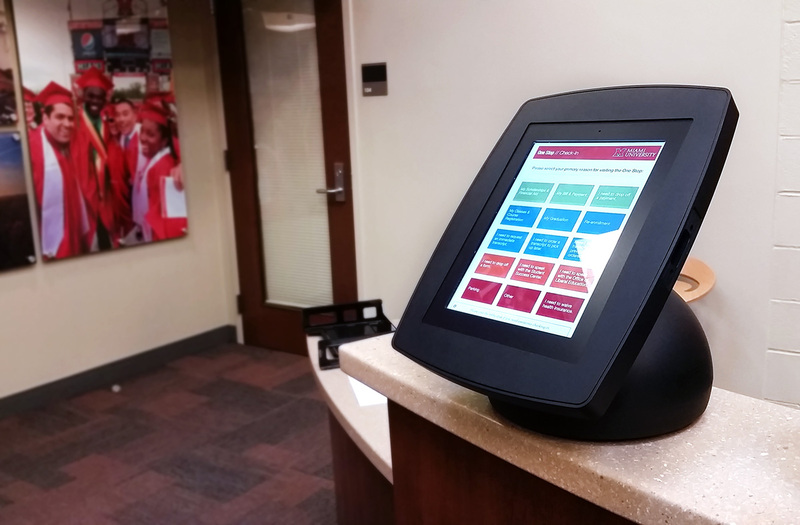 Students have responded favorably to the new technology and easy check-in process. The ability to lock down the user interaction within Kiosk Pro helps keep the device functioning and ready for the next user. Keep things simple. Make it obvious how to get started and how to get back to the first screen if the previous visitor left before completing the process. In our setup, the kiosk redirects to the welcome screen 90 seconds after the visitor starts the check-in process (in case they walk away without finishing). 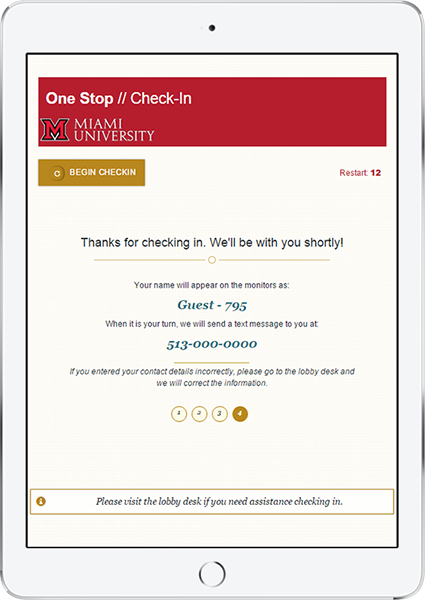 It also refreshes 20 seconds after the visitor completes the check-in process, and a “Start Over” button is provided to make it easy for visitors to get back to the beginning.